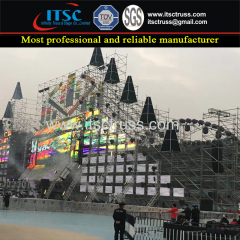 Truss System is usually applied in stage equipment installation for haning lighting and sound or LED screen,ect. 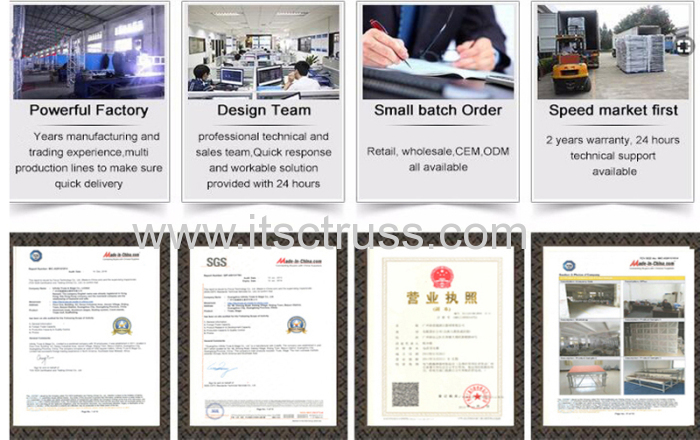 It can be usually designed to be any size and shapes in real requirements. This Truss system is designed with ringlock scaffolding as Heavy Duty Backdrop for outdoor Concerts.